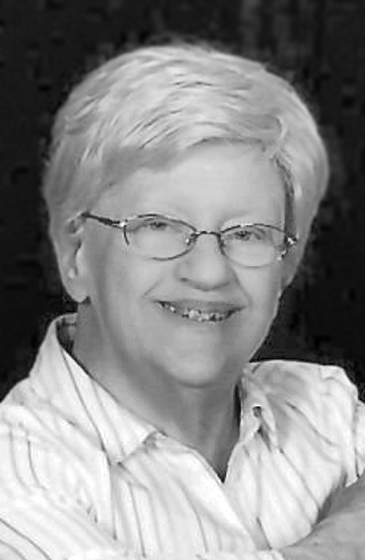 NEGAUNEE, MI – Beverly A. Lamkin, age 78, of Negaunee passed away on Sunday, September 9, 2018 at her home in Negaunee. Beverly was born July 11, 1940 in Hamtramck, MI the daughter of the late Frank J. and Sophie V. (Hoskey) Waslesky. She grew up in Hamtramck and was a graduate of the Edsel Ford High School, Class of 1958. She had worked in the Detroit area as a secretary for the Ford Motor Co.
She was married to the late Harley A. Lamkin and they had resided in Grand Marais from 1986 until 2010 when they moved to Negaunee. Beverly was a member of the St. Paul Catholic Church. Beverly will be remembered for her determination and uplifting spirit. She enjoyed shopping trips, cooking, her flowers and especially her dogs. Survivors include her sister Debbie Waslesky of White Lake, 6 step-children – Jody Lamkin of Milan, Steve Lamkin of Ludington, Garry (Debbie Beardslee) Lamkin of Grand Marais, Jeff Lamkin of MO, Cindy Corrnet of Willis, Lori Davis of Caneyville, KY, sister-in-law Madeline Apple of White Lake, numerous grandchildren and great grandchildren along with her close friend Mary Peterson of Negaunee. She was preceded in death by her husband Harley A. Lamkin on January 8, 2018. A Memorial Mass will be celebrated at 11:00 am on Friday, September 14, 2018 at the St. Paul Catholic Church in Negaunee with the Rev. Fr. Glenn Theoret to officiate. Memorials may be directed to UPAWS at UPAWS.org or PO Box 968, Marquette, MI 49855 in Memory of Beverly. Beverly’s obituary may also be viewed at bjorkandzhulkie.com where relatives and friends may leave a note of remembrance.